The Court of Appeal has upheld the conviction of two individuals found guilty of running a money-making scam in Samoa. The decision was delivered by a panel of Supreme Court Judges including Justice Fisher, Justice Blanchard and Justice Panckhurst at the beginning of the month. 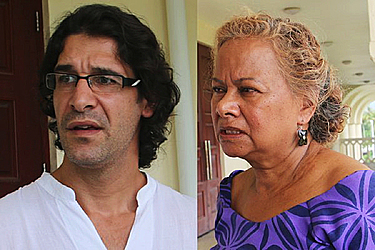 Nicolas Giannos and Rosita Stanfield, who were stopped from leaving Samoa and arrested at the Faleolo International Airport last year, were found guilty of obtaining by deception with Giannos further convicted of false accounting. Through their lawyer, Leota Raymond Schuster, the couple appealed the decision – including the conviction of false accounting against Giannos. In the end, the appeal against their convictions for obtaining money by deception was dismissed except Gianno's conviction for false accounting which was quashed. Ms Stanfield and Mr. Gianno's appeal against their convictions by the Chief Justice on six counts of obtaining money by deception (s.172 of the Crimes Act 2013). Mr. Gianno also appeals against two convictions of false accounting (s.198 of the Act). Both appeals also against their sentences of imprisonment for 15 months (Ms Stanfield) and 3 years (Mr. Gianno). • (d) causes loss to any other person. • (c) a fraudulent device, trick, or stratagem used with intent to deceive any person. • (c) makes any transfer of any interest in a stock, debenture, or debt in the name of any person other than the owner of that interest. The narrative that follows for the most part summarises the factual conclusions of the Chief Justice. As will be seen, some of them are disputed by the appellants. The appellants arrived in Samoa on 1 May 2015 saying that they represented a company based in Thailand called Ufun which was an issuer of digital currency called Utoken, and operated in 12 countries. In his immigration form Mr. Gianno stated that he had never married. Both stated that they were not bringing into Samoa more than $20,000 or its equivalent in a foreign currency. Over the course of the next two weeks they jointly made presentations to various people or organisations. In particular, they claimed that an investment in a package of Utokens would earn the investor a tenfold or greater return within two months (by 21 July). On the strength of such assertions, backed by talk of Ufun making money from trading in gold and diamonds and owning or occupying a number of buildings in various locations, the six complainants were induced to give the appellants, for the purpose of investment in the Utoken scheme, sums ranging from $1581 to $31,625. A power point presentation was made to officials of the Central Bank on 15 May 2015. The Chief Justice considered that this presentation was of the same kind as had earlier been made to people without the knowledge and experience of the Central Bank officials. The appellants again stated that an investment in Utoken packages would be worth 10 times more by 21 July. Reference was made to Ufun’s backing from its investments in the mining industry and its intention to open 1000 stores in China. The power point presentation contained a disclaimer but it was said to have been flashed on the screen for only about 5 seconds. (The appellants say it was for somewhat longer than this.) The appellants declined to provide any financial statements or accounts for Ufun. One of the Central Bank witnesses recorded the presentation on his cellphone and a transcript was available at the trial. A policeman from Thailand gave evidence for the prosecution, testifying that on 10 April 2015, ie before the appellants arrived in Samoa, the Thai police had raided the head office of Ufun in Bangkok, seized its computer, database and bank account records and arrested three of its senior executives who were charged with the offence of obtaining by deception. One of the photographs forming part of the appellants’ presentations was identified as being of the building where the police raid had taken place. The evidence led to prove the charges of false accounting against Mr. Gianno also had some relevance to the obtaining by deception charges. On 12 May the appellants had gone to the ANZ Bank in Apia and opened an account on the name of Mr. Gianno. He deposited $5,500 into that account in the presence of Ms Stanfield. That deposit was not marked as being in respect of Utoken. Mr. Gianno told a bank official that the purpose of the account was so that he could receive his salary, which was payable in London. Further cash deposits were subsequently made into the account. As a result, on 18 May the balance was $133,042.45. All but the first of the deposit slips contained the narration “Utoken” indicating that this was money for investments in the Utoken scheme. A person who had given the appellants an amount in US dollars equivalent to $31,711 had gone to the Central Bank to seek approval to remit this money overseas for investment purposes. He was not clear about where his money was to be sent. He called the appellants who came to the bank and said that the money was for investments in Utoken. The bank official explained to them the bank’s requirements for the making of such a remittance, involving an investment agreement, an application letter and a tax clearance certificate from the country where the investment is to be made. Ms Stanfield then asked the bank official if the money could be sent overseas as a gift. On learning its requirements for such a remittance, Ms Stanfield was heard to say to Mr. Gianno that that would be easier. The appellants went to the ANZ Bank on 18 May to remit funds from the account in his name to Mr. Gianno’s personal account in London. Amounts of $20,000 or less can be remitted overseas as gifts without Central Bank approval. 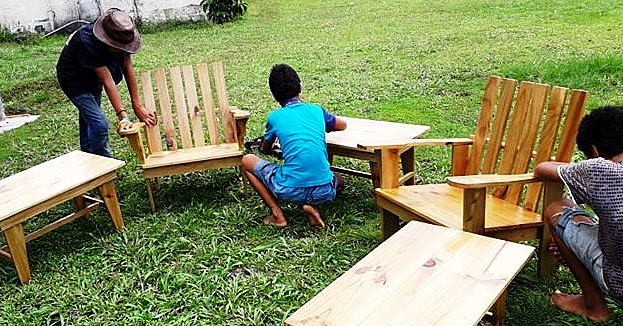 Asked the purpose of the remittance, Mr. Gianno said it was a gift for the use of his wife and children. A bank officer, Ms Peti, then filled in a telegraphic transfer application form, ticking the narration “Gift/payments to family or friend.” Mr. Gianno checked and signed the form. He also signed a Central Bank form stating that the purpose of the remittance was “Gift”. The $11,000 minus the ANZ Bank’s fee was then sent to Mr. Gianno’s London account. On 19 May the same procedure was used to send another $20,000 to his London account. On 20 May he tried to send another “gift” of $20,000 but suspicions were raised in MsPeti’s mind and the matter was referred to the Central Bank which ordered ANZ to freeze the account. On later questioning by the Police Mr. Gianno admitted that he had no wife and children. The appellants then went to the Central Bank to present a “clarification” note concerning what they had said at their presentation to bank officials on 15 May about how investors could benefit from the Utoken scheme if they invested before 21 May. At the earlier presentation the appellants had claimed that an investment of $1,000 by 21 May would get the investor $10,000 or more on 21 July. The “clarification” was that it would be cheaper to invest now than to invest after 21 July when the entry price would have risen. But there was no such “clarification” made to investors after the earlier presentation. Mr. Gianno’s explanation was that the “clarification” note was not available from Ufun at the time of those presentations. Ms Stanfield elected not to give evidence. Mr. Gianno testified that he is a digital currency consultant and marketing consultant for the Ufun group, which he said was located in Kuala Lumpur. He described the group’s “reserve system” and its investments and businesses. He had come to Samoa because Ms Stanfield is Samoan and wanted to introduce Utoken as an investment opportunity to help her family in Samoa. He denied telling investors that their money would increase tenfold although he admitted there definitely were “indications” that could occur. The Chief Justice accepted the prosecution witnesses’ evidence of what the appellants had told investors about a tenfold increase and rejected Mr. Gianno’s denial. The prosecution evidence about statements made at the various meetings, including the first at the Central Bank, were consistent. The Chief Justice also found that the appellants must have known about the closing down of the Ufun headquarters in Bangkok on 10 April but did not disclose it at any of the meetings in Samoa. Mr. Gianno said in evidence that he had not been to Thailand and did not know for sure that Ufun had an office there, yet his business card, like that of Ms Stanfield, named several countries including Thailand. Also in evidence was a letter written by Ms Stanfield on 19 April 2015 to the Prime Minister stating that Mr. Gianno was her business partner, which he did not deny. That letter also said that Bangkok was the headquarters of Ufun. That had also been said at one of the presentations. (d) The representation must have given rise to one or more of the situations to which s.172 (1) (a) – (d) refers. (By “given rise to” we take the Chief Justice to have meant that the false representation must have been an operative cause of one or more of those situations). He accepted the evidence of Central Bank officials that the representation of a tenfold or more increase by 21 July 2015 in an investment in Utoken was too good to be true: so good that it must be materially false. The same representation had been made to the investors at the other presentations (or in one case to an investor after a presentation). There had also been a representation about the Ufun headquarters being in Bangkok but no disclosure that it had been closed down and that its operation had ceased. 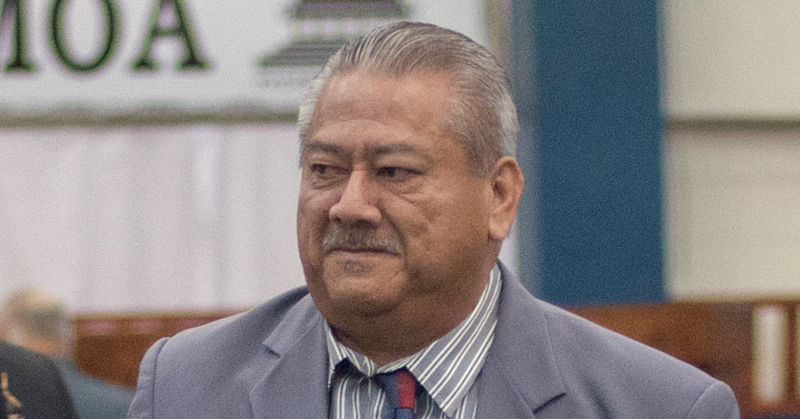 As to a defence suggestion that the appellants had brought money into Samoa and that it was the source of the initial transfers to London and that upon receipt of funds from investors the appellants had activated “activation points” thus triggering Ufun investments accounts, the Chief Justice said there was nothing to support this other than Mr. Gianno’s assertions, which he did not believe. Nothing had been said at presentations about “activation points”. The Chief Justice concluded that the only reasonable inference to be drawn from the circumstances was that when the appellants made the false representations they had an intention to deceive the investors. He did not accept that because the Central Bank stopped the remittance of moneys, no one will ever know whether they could have been invested and earned ten times more in one or two months. He found that the appellants must have known of the falsity of their representations in that respect. As to the last element, s.172(1)(a) provided that a person commits the offence of obtaining by deception who, by deception, obtains ownership, or possession or control over property. The Chief Justice found that the appellants by way of false representations had obtained possession of moneys from the investors. Accordingly, all four elements had been proved beyond reasonable doubt. The Chief Justice therefore found the appellants guilty of six joint charges of obtaining by deception. In relation to (a) the Chief Justice said that it was clear that Ms. Peti filled in the ANZ Bank telegraphic transfer application forms based on information given to her by Mr. Gianno. The purpose of the remittance to Mr. Gianno’s personal bank account in London was shown as a gift for the use of his wife and children. But it was also clear from the evidence that he has no wife and children; and it was not Mr. Gianno’s money he gifted away. The money belonged to the investors. The entries in the forms were therefore false. Mr. Gianno had caused the entries to be made. A bank witness had given evidence that a telegraphic transfer application form is a document that is required or used for accounting purposes. The Chief Justice said that it records a particular category of the bank’s transactions and is required for the purpose of preparing the financial statements of the bank. The reason for Mr. Gianno remitting the $11,000 on 18 May and $20,000 on 19 May, was to circumvent the requirements of the Central Bank. His purpose was to deceive the Central Bank. He was also intending to deceive the ANZ Bank because, if it had been aware that the purpose was investment overseas in Utoken, it would have required him to obtain prior Central Bank approval, which he wanted to avoid. The Chief Justice found Mr. Gianno guilty of the two charges of false accounting. The trial became unnecessarily complicated for two reasons. First, the prosecution did not include in the wording of the s.172 charges any particulars of the deceptions said to have been practised by the appellant on the investors. The informations stated only that the appellants were charged with obtaining by deception certain amounts of money from certain persons on a certain date. The nature of the alleged deception was left unspecified and only emerged from the prosecution case as presented at trial. That potentially might have put the defence at a disadvantage but evidently no complaint was made nor were particulars sought, at least in a formal way. But the regrettable lack of particularisation seems to have impacted also on the prosecution because its presentation of evidence seemed at times to lack real focus. Secondly, the prosecution set out to show that the alleged deceptive representations were made in the course of trying to persuade Samoan investors to put money into a pyramid scheme. Yet the prosecution really had no evidence at all to substantiate that suggestion. The usual indications of a pyramid scheme were simply not to be seen in what occurred in Samoa. Much time was wasted during the trial in adducing opinion evidence from Central Bank officials about pyramid schemes without the necessary substratum of proven facts to which those opinions would have relevance. The Chief Justice in fact had no difficulty in concluding that it was not shown that the Utoken scheme was a pyramid scheme. But that had no bearing on what was actually at issue, namely whether moneys invested in Utoken (whether or not it was a legitimate business) were obtained by a deception perpetrated by the appellants. (b) Omitting to disclose to them a material matter, namely that on 10 April 2015 the Thai headquarters of the Ufun group had already been shut down by the police. (b) There was insufficient proof that the organisation closed down by the Thai Police was the Ufun they were part of (it was suggested it was an independent operation that just happened to have the same or a similar name); and, in any event, there was insufficient proof that they knew in May 2015 that Ufun in Thailand had been closed down by the police. Mr. Schuster drew attention to unusual features of the case, which were that none of the six investors in relation to whose payments to Mr. Gianno the guilty verdicts were rendered by the Chief Justice, had claimed at the trial to have been deceived by the appellants; nor had they actually suffered any loss – because after Mr. Gianno’s bank account had been frozen he authorised ANZ to return the investments moneys to them. Mr. Schuster referred also to the position of two further investors who expressed satisfaction with their Utoken investments. It does not follow from these unusual features, however, that convictions have been wrongly entered. The prosecution was not required under s172 to prove that anyone suffered a loss as a result of being induced to make an investment by either or both of the deceptions. But it was necessary for the prosecution to show that the alleged deceptions were an operating cause of the investors’ decisions to make their investments. That is, however, a matter to be determined objectively as it is in the more normal situation where complainants testify that they were deceived. In this case it is very evident that most of the complainants were financially naive. They seemed at trial not to have understood the Utoken scheme or to have appreciated how unlikely, indeed impossible, it was for the representation made to them to be fulfilled. They were certainly induced to part with their moneys by the “get rich quick” nature of the representation made about the scheme, even if some of them were also motivated by a family or other connection with Ms Stanfield. One of the complainants whose money had been restored to him was a lawyer who could perhaps have been expected to be less gullible. He appears to have been embarrassed to have been caught up in the scheme and unwilling to admit to himself that he had been duped. The evidence relating to the people who had apparently completed an investment gave no indication of the extent to which the value of their Utoken packages had risen. If it had done so to the extent and within the period represented by the appellants that would surely have been said. In any event, real proof of a rise in value would have required either financial statements or a realisation upon withdrawal from the scheme. We turn to the representation. The Chief Justice formed the view that the claims made by the appellants that there would be a tenfold increase in value within about two months were obviously too good to be true. In so finding he endorsed the expert opinion expressed by Central Bank officials. The falseness of such claims rather speaks for itself. Such a level of return in such a short period would rarely if ever occur, and if this was the exceptional situation why would a commercial organisation permit ordinary investors to have such an extraordinary advantage? So Mr. Gianno himself accepted that what the appellants had been telling the investors about a tenfold increase was “impossible.” In other words, there was no prospect of a tenfold increase resulting by 21 July. The representations were false. And, as we have said, the “clarification” was of the same nature and would have not changed the character of the representation even if it had been made to the investors or if they had actually understood the appellants to have been referring to entry prices. In two cases the representation was that the investment would double by 21 July and in one that it would “double or treble” by that time. Such predictions though unlikely to be fulfilled, were somewhat less in the world of fantasy than those representing a sixfold or tenfold gain. In other words, even if the issue of Utoken was continuing to trade, it is unlikely that its assets, and therefore the value of an investment in its financial product, would be such that there would be doubling or trebling in value as a result of an IPO. However we need not take that further because in fact Ufun was not trading normally. It had, over a month earlier and before the appellants came to Samoa, had its headquarters in Bangkok shut down by the Thai police as part of a fraud investigation. Evidence of that had been given by a Thai police officer who was involved in the police raid on the Ufun office. Like the Chief Justice, we were entirely unimpressed by the appellants’ assertion through their counsel, and the evidence of Mr. Gianno, that the Ufun company shut down in Bangkok was unconnected with “their” Ufun – that it must have been an unrelated company which had taken the same name. Their cause was not assisted by the inclusion in their slide show presentation to the Central Bank and others of a photograph of the Ufun building which the Thai police officer identified as the one which was the subject of the police raid. Nor were we impressed by the submission that any closure of the Bangkok operations of Ufun would have had no impact on its operations in Malaysia and Indonesia. Bangkok was the headquarters of the Ufun group. Ms Stanfield herself had said so in a letter to the Prime Minister of Samoa. Although there is no direct proof that the appellants knew of the closure of the Ufun headquarters, the Chief Justice was entitled to conclude that they must have known. Plainly they remained in contact with Ufun, as appears from MrGianno’s explanation to the Central Bank for the belated arrival of the “clarification” note – that it had not been available from Ufun at the time of the presentations made to investors and the bank. It is inconceivable that the forcible closure of the head office and the arrest of senior executives would have passed unnoticed by them even if, as they suggested, their dealings had been with the Malaysian branch. The deliberate failure to tell this to the investors they were enticing with representations of large increases in value was a very material omission of a particular that made their representation a deception in terms of s.172(2)(b). For these reasons the appeals against the s.172 convictions must fail. With respect to the witness, we rather doubt that she had any idea that the question was directed to a phrase in s.198 and it seems to us that she must have been correct when she said that the forms were used only to check the telegraphic transfers. It is hard to see how they could have had any use in relation to the bank’s accounts. In any event, there was no adequate proof to the contrary from a properly qualified witness. In submitting that the sentences imposed on the appellants were manifestly excessive Mr. Schuster stressed the absence of any loss to the complainants. 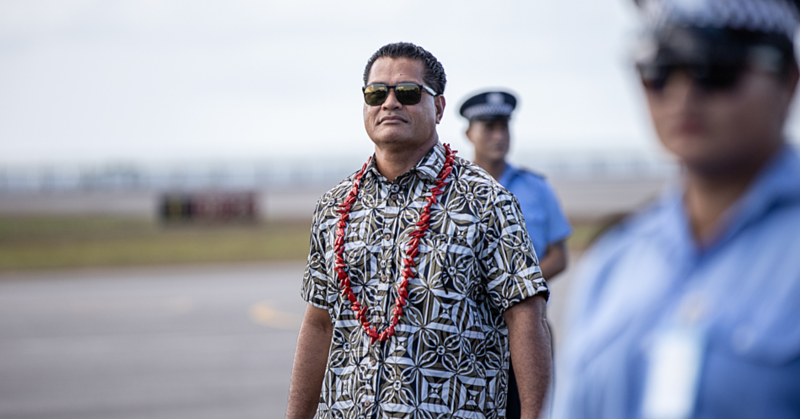 He was not, however, able to refer us to any Samoan precedents suggesting that the sentences were out of line when the level of the amounts obtained by deception is taken into account. There were six victims of the offending who were induced to part with an aggregate sum of $41,149. The appellants, in a calculated and pre-meditated way, were preying on naive and/or gullible victims. They took advantage also of Ms Stanfield’s family connection, so that there was an element of abuse of trust. We have considered whether the overturning of the false accounting convictions should result in an adjustment downwards of Mr. Gianno’s three year sentence of imprisonment and have concluded that it should not. The false accounting, if it had been established, was a relatively minor matter as compared with the obtaining by deception, in respect of which he had played the leading role in the making of a series of false representations. The appeals of Mr. Gianno and Ms Stanfield in respect of their convictions and sentences for the s.172 offences are dismissed. Mr. Gianno’s appeal against his convictions for the s.198 offences is allowed and the convictions are quashed.